DARKEST HOUR (Joe Wright , UK/USA, 2017, 2hrs 2 mins, cert PG) is a drama, based on real events in May and June 1940. Neville Chamberlain has resigned and Winston Churchill appointed as the Prime Minister who must decide whether to negotiate or seek to rally the nation against Germany's advance across Western Europe. 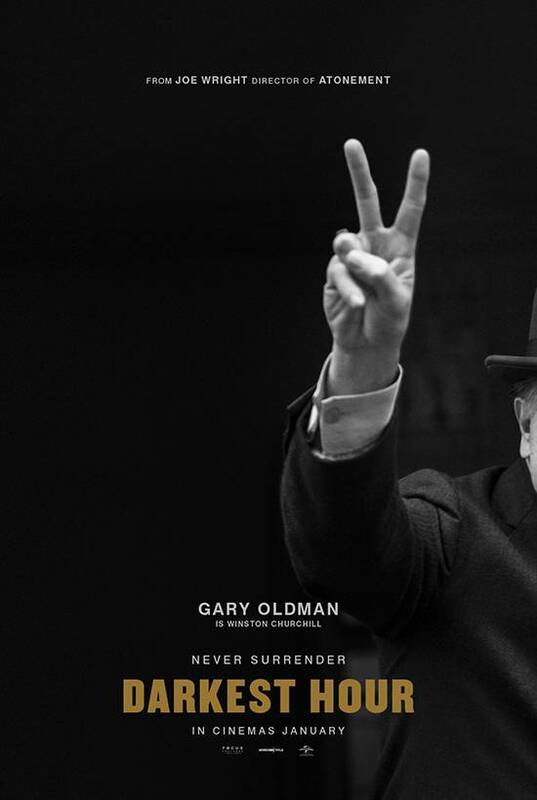 A history lesson but not as you know it with an electrifying performance by Gary Oldman who won the Oscar for portrayal of Churchill. Please Note: This film is in the Performance Hall at 7.45pm - there is another film on the same night at 7.30pm in the Studio 609. You cannot watch both screenings.